As a recognized Premier Google Partner, Snaptech Marketing implements customized digital marketing solutions to improve your business results. Our digital marketing agency combines five disciplines to produce fantastic results. We mix together our creative energy and cerebral muscle, making digital alchemy worthy of your brand. 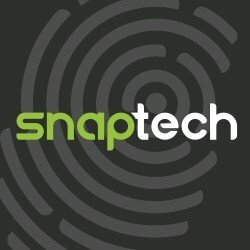 Step inside Snaptech and learn how our team makes real results come from the digital world. Our services include – pay per click advertising, search engine optimization, conversion optimization, content creation, social media, and responsive web design. As a recognized Premier Google Partner, Snaptech Marketing implements customized digital marketing solutions to improve your business results. Our digital marketing agency combines five disciplines to produce fantastic results. We mix together our creative energy and cerebral muscle, making digital alchemy worthy of your brand. Step inside Snaptech and learn how our team makes real results come from the digital world. Our services include – pay per click advertising, search engine optimization, conversion optimization, content creation, social media, and responsive web design.